Jamie first booked with us over a year ago. As always were were thrilled for her to book us for both film and photo because, as you know, we love working together. Since they were not living in New Mexico at the time, we didn't get to meet the right away, which is actually the norm for us. We noticed that Jamie always liked our social media posts and seemed so excited to work with us, which is seriously the best! There's nothing better than getting to work with people who love what we do. I finally got to meet Jamie a week before the wedding when she came in to do some portraits in the studio prior to the wedding day. 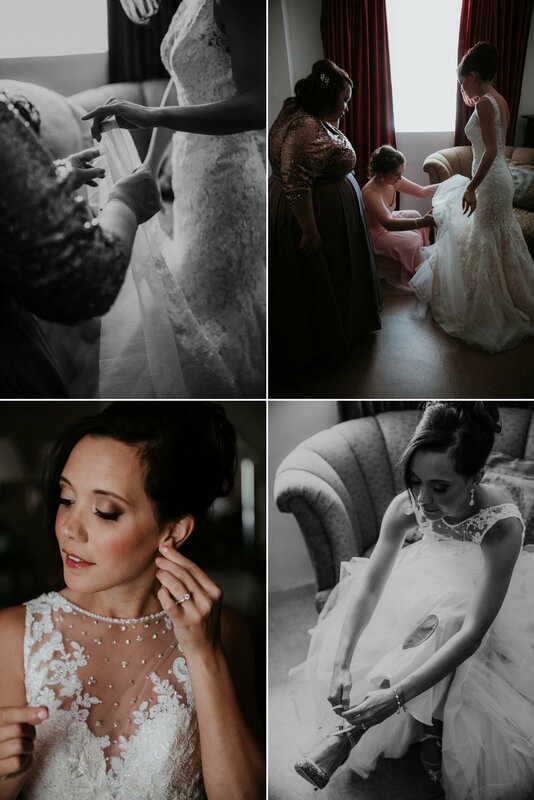 We had SO much fun, and Jamie is so breathtaking (scroll and see!) that I knew the wedding was going to be a knockout. 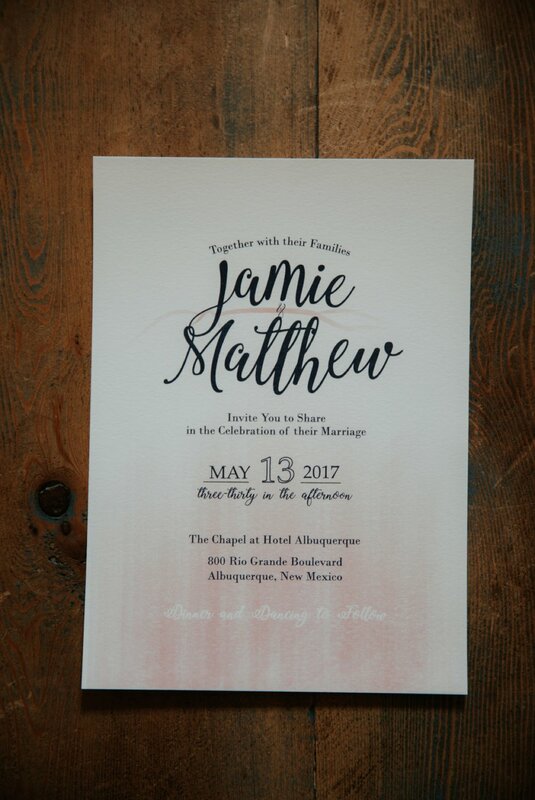 Of course, the wedding day was filled with so many beautiful moments, but my favorite part was the palpable love Jamie and Matthew share. Their love for each other is obvious, their love for their puppies is ADORABLE, and the love from family and friends made everything perfect. The day was an intimate celebration that was truly special for us to be part of. I'm SO glad that we get to share part of it with you here now.